An integrated approach to the molecular theory of reaction mechanism in heterogeneous catalysis, derived from the recent advances in the growing field of theoretical catalysis. 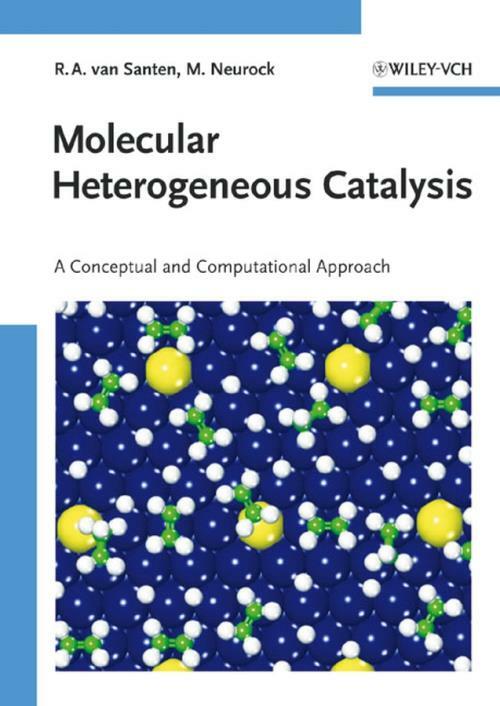 The authors develop a general conceptual framework for understanding catalysis and present in–depth comparisons between heterogeneous catalytic systems with those found in enzyme catalysis, biomineralization, organometallic chemistry and coordination chemistry. They describe the mechanistic features that control different catalytic materials and systems, such as metals, bimetallics, zeolites, metal oxides, metal sulfides and molecular complexes. The emerging field of electrocatalysis for fuel cells and electrochemical conversion processes is also introduced and compared with classical heterogeneous catalysis. The book presents the results from a broad range of computation methods, including ab initio quantum mechanical approaches, Monte Carlo methods and molecular dynamics. Finally, complexity in catalysis is explained in chapters on self–organization and self–assembly of catalysts, while the final section are devoted to evolutionary, combinatorial techniques as well as artificial chemistry.